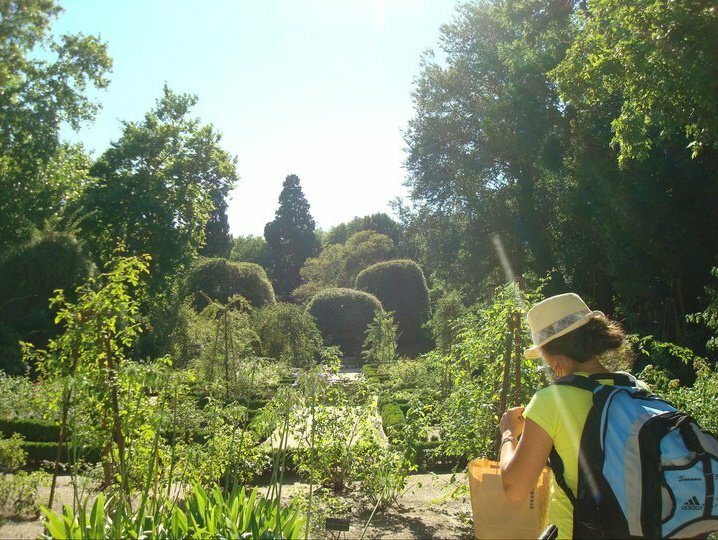 Studying horticulture opens up doors around the world -- Here I am at Real Jardín Botánico, Madrid, Spain in August of 2011. One of the most gorgeous public gardens I've ever seen! As future leaders within the Horticulture and Crop Science Department, we know better than to believe what is written in the article College Majors That Are Useless by Terrence Loose on Yahoo! Education. Everyday – sometimes multiple times per day – we are receiving emails from our department about internships and career opportunities within crop science, landscape, public horticulture, turfgrass and sports field management, plant protection science, and greenhouse and nursery plant production all over the state, the country, and the world. That’s right: everyday, employers within these fields are seeking us to work for them! Not to mention, the types of positions available to us are not only production-based (which is what Loose claims), but rather, they encompass a broad range such as marketing and sales representatives, research scientists, quality assurance managers — just to name a few. People may also be surprised to find out that the average starting salary for a graduate in the agriculture industry is almost $49,000 (according to the AgCareers.com/ AgrowKnowledge Enrollment and Employment Outlook Report and the AgCareers.com Compensation Benchmark Review). Let’s also talk about the issue of “uselessness” of our degrees. The whole basis of our education is to provide food, flora, and fiber for the world. We might be so bold in making the statement that our degrees are, on the contrary, useful. According to the latest data from AgCareers.com, 81% of jobs in the ag industry require education beyond high school and almost half require at least a bachelor’s degree. According to the AgCareers.com/AgrowKnowledge Enrollment and Employment Outlook Report in 2008 there was a deficit of 9,317 graduates with agriculture degrees to fill open positions in the U.S.
We are the future of agricultural and environmental plant sciences, and have taken responsibility to provide food, flora, and fiber sustainably and efficiently in a booming world population. With an increasing demand for high-quality and nutritious foods; advances in agriculture, science and technology; a growing population and a need to produce more with less, there are, in fact, a wide variety of rewarding, well-paid career opportunities in agriculture! Those of us who are Agricultural and Environmental Plant Science majors at Cal Poly State University in San Luis Obispo know the importance of our degrees and viability of our future careers!